Started in 1990, IREE is the largest convergence of global rail industry which provides an opportunity to enhance knowledge and showcase the technological advancement & development in railway and its related sectors. 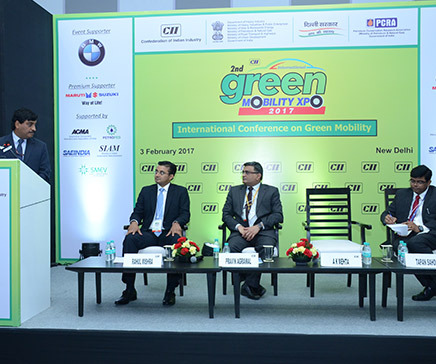 Conceptualised & organised by the Confederation of Indian Industry (CII) in association with the Ministry of Railways, Government of India- it is the only dedicated rail trade show that offers an advantage of upgrading skills, expertise and a golden chance to invest in varied promising areas in the rail industry. What Makes IREE Special - The Track! IREE 2013 - International Exhibition & Conference on railway products, equipment, machineries, automation, technologies and services - scheduled from 3rd to 5th October, 2013 at Pragati Maidan, New Delhi will provide a glittering centre-stage for any rail-related organization or individual to display the strength, advancement and their future plans. IREE allows important individuals & organizations to share the platform with who's who of the industry which is not only fruitful for those who would like to become a part of fast-track India but also get benefited by the investment opportunities. Advantage Participants - The Experience! IREE is a unique bouquet of system and services that arranges meeting of challenges with the right opportunities. A gateway of various joint ventures, marketing arrangements, and one –on one interaction with industry experts designed to change the face of your business. Over 500 participants from 25 countries, more than 15000 visitors, presence of large number of nations, government delegates and media personnel are all set to power the wheels of your business. An International Conference on Railways will also be organized in association with Indian Railways during IREE 2013. The Conference will be addressed by eminent speakers from India and abroad. The conference would highlight the various aspects relating to modernization of railway, technological advancement in railway equipment and private sector participation in railways. 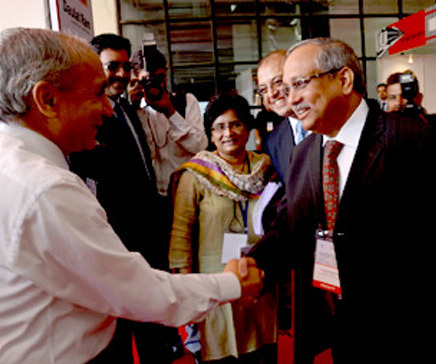 The 11th edition of IREE 2015 - International Railway Equipment Exhibition - Organised by the Confederation of Indian Industry (CII), in association with Ministry of Railways, Government of India, from 14th to 16th October, 2015 at Pragati Maidan, New Delhi, concluded successfully with over 11,000 visitors attending the event over three days. Covering over 20000 sqmtrs of space, spread across 8 halls - attracted participation of around 400 companies from 20 countries, showcasing latest products And Technologies for the rail transportation sector. 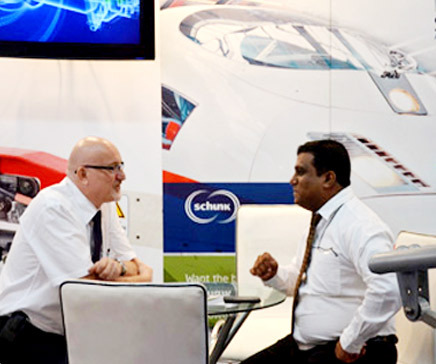 The wide range of display of products and technology from India and abroad made IREE - an ideal sourcing platform for the Indian Railways and major manufacturers. A new feature - Partner Country Concept - introduced this time at IREE, and Japan participated as the first Partner Country at IREE 2015. 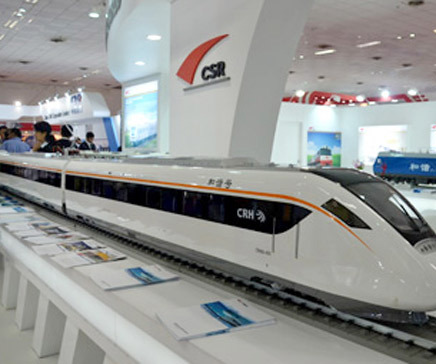 Country Pavilion at IREE 2015 showcased the latest Japanese products and technologies for the rail transportation sector in the largest ever Japanese Pavilion at IREE. Covering an area of over 2000 sqmtrs, in an exclusive hall, Japan brought key players including Japan Rail, Japan Overseas Rolling Stocks Association, Mitsubishi, Kawasaki, Hitachi, Toshiba, Nippon, etc. supported by the Ministry of Land, Infrastructure & Transport (MLIT) and the Ministry of Economy, Trade & Industry (METI), Government of Japan. The Partner Country participation also brought a large Japanese delegation of over 50 senior people from the Government and Industry, led by the State Minister of MLIT. The delegation had successful bilateral discussions for future business linkages between the two countries in the Rail Transportation Sector. "Make In India Pavilion" - another new feature at IREE 2015 this time was the special showcase of "Make In India" Pavilion being organized by the Ministry of Commerce, Government of India, showcasing the potential and opportunities for investments and manufacturing in India. Had a comprehensive showcase through the Largest ever IR Pavilion, displaying Indian Railways strengths, capabilities, export potentials, and future requirements in an exclusive hall with participation of Production Units, Regional Railways, Zonal Railways, Railway PSUs & National Rail Museum. The special showcase of National Rail Museum displayed the history of Indian Railways through a thematic presentation and attracted large number of people with their wide range of souvenirs and gift items on sale. Senior Officials of Indian Railways from across the country, were present and held b2b meetings and interactions with the International Business Community, during the three day event. 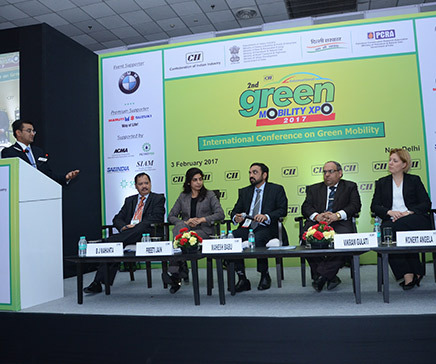 The second edition of the Urban Mass Transit Expo (UMTE 2015) - an Exhibition and Conference focusing on Metro + Light Rail - also held concurrently with IREE 2015, making the Railways and Metro sectors under one roof - making it more convenient for the stakeholders to explore new products, technologies and services available for both sectors. UMTE 2015 is supported by the Delhi Metro Rail Corporation (DMRC) and Lucknow Metro Rail Corporation. 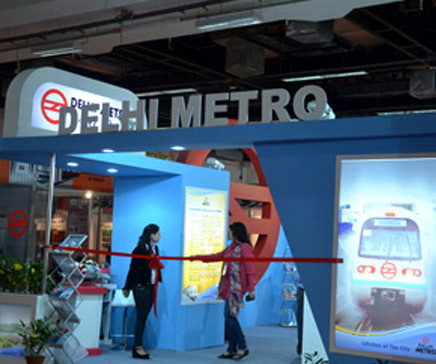 DMRC had a Pavilion at the Exhibition, showcasing their strengths and capabilities. A concurrent full day conference, held on 14th October, 2015 was attended by over 300 delegates from Indian and overseas. 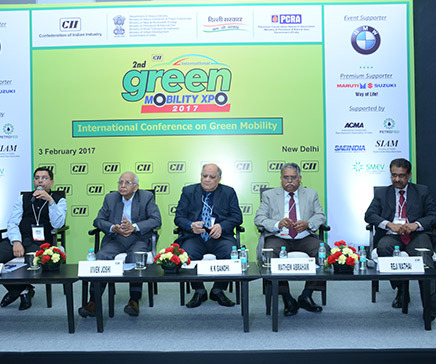 IRC was addressed by prominent speakers from the government and industry from across the globe. The 3 days event concluded successfully with attendance of 11600 business visitors. The high point of the event was the Business delegations from countries like, UK, Spain, Czech Republic, Slovak, Japan, Germany, Russia, China, Bangladesh, etc. Covering over 20000 sqmtrs of space, spread across 8 halls - attracted participation of around 400 companies from 20 countries, making it an ideal sourcing platform for the Indian Railways and major manufacturers. Covering an area of over 2000 sqmtrs, in an exclusive hall, Japan brought key players including Japan Rail, Japan Overseas Rolling Stocks Association, Mitsubishi, Kawasaki, Hitachi, Toshiba Nippon, etc. supported by the Ministry of Land, Infrastructure & Transport (MLIT) and the Ministry of Economy, Trade & Industry (METI), Government of Japan.